WOW!! 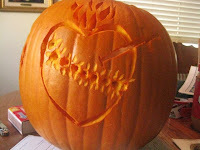 That is too cool! 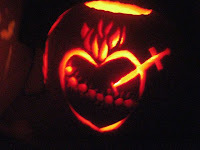 Our family is definitely going to try our hands at this!! Thanks so much for sharing!! These are great! 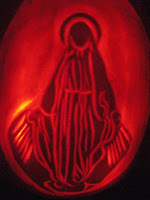 We carve "holy laterns" out of pumpkins for our all saints party. These are some great ideas. Last year my son did Jesus carrying the cross. We're still trying to decide what to do this year. Very, very cool! I will pass this on to others. Thank you, Jessica! 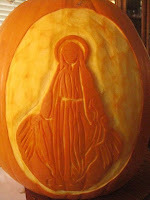 We are looking forward to participating in the Saint-O-Lantern contest at our parish's All Saints Party. I will be sure to share a photo. These are amazing! What a wonderful idea! 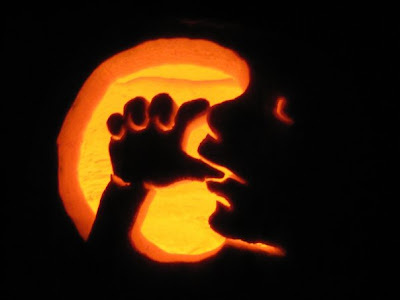 I LOVE the Pro-Life Pumpkin and all the other ideas! I never even thought of this. I'm most certainly going to be trying it out this year! 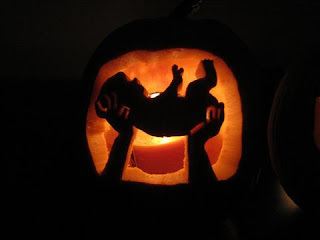 I think the idea of Pro-Life Pumpkins is fantastic, even the smallest things can make a difference! Where do we find the templates? 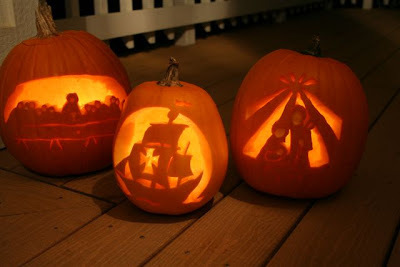 Many of the carvings in this post were created without templates, but you can find links to some templates in this post. Hope that helps!